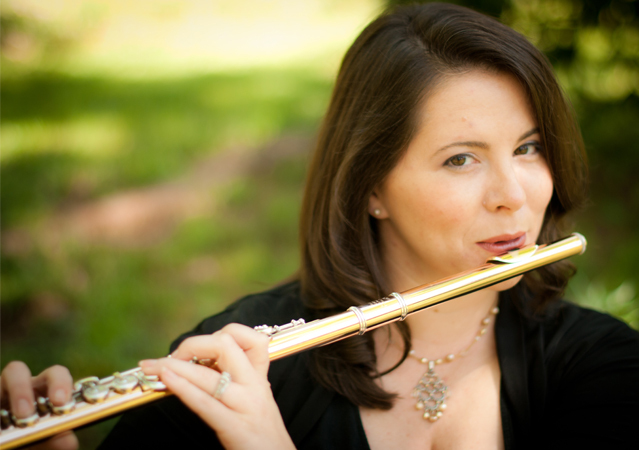 Atlanta Composer and Flutist Nicole Chamberlain (b. 1977) has composed numerous works for flute and has won NFA’s 2017 Flute Choir Composition Competition, 2016-2018 Newly Published Music Awards, The Flute View Composition Competition, Areon Flutes International Composition Competition, finalist in the Flute New Music Consortium Competitions, and finalist for the Kappa Kappa Psi’s 2018 Female Band Composition Competition. She has been commissioned by the Atlanta Opera, Georgia Symphony Orchestra, Gonjiam Music Festival, Oklahoma Flute Society, Atlanta Flute Club, and many others. An album of her music, “Three-Nine Line”, released in 2018 by MSR Classics.